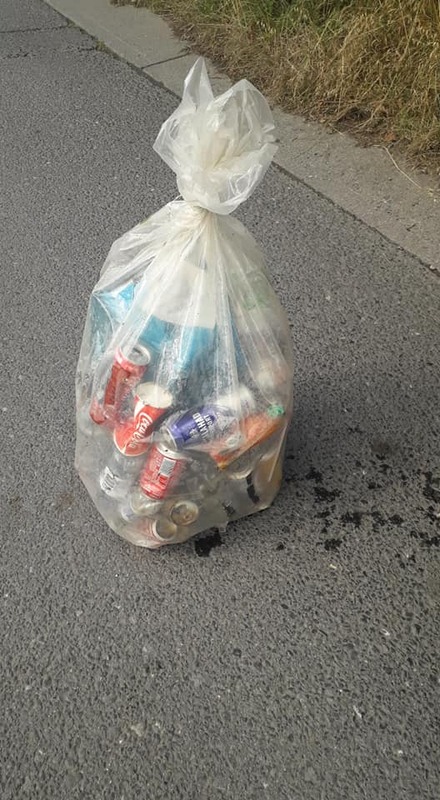 Local volunteer, Eugene Walsh, placed a "can and bottle" trap on the River Burrin "to stop the litter going down stream and it works great". He has plans to put another one in place too. Eugene said: "It stopped a three quarter full bag of stuff (pictured below) going down river and out to sea."